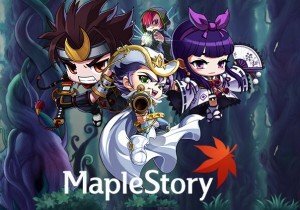 Fans of MapleStory can get ready for an action-packed experience in a special crossover event, starting on February 28th and Ending March 27th. The heroes of the Evangelion anime/movie series are entering the Maple World through an inter-dimensional rift, and will allow players to interact with them while tackling various quests and events. Lost in this world, the Evangelion pilots are trying to get their bearings in this new world, so it’s up to you, the denizens of Maple World to help them become familiar with it. Players can interact with Shinji, Rei and Asuka to earn EVA Coins to spend on limited-time items and must fend off waves of invasions from Angel enemies in order to save Maple World. For a limited time, Evangelion Style Boxes will be available for purchase to acquire accessories and outfits to dress up their character in an Evangelion style. In addition, there will also be special random boxes to gain Evangelion-themed items, including androids, and purchase hair coupons to unlock hairstyles just like the Evangelion pilots.